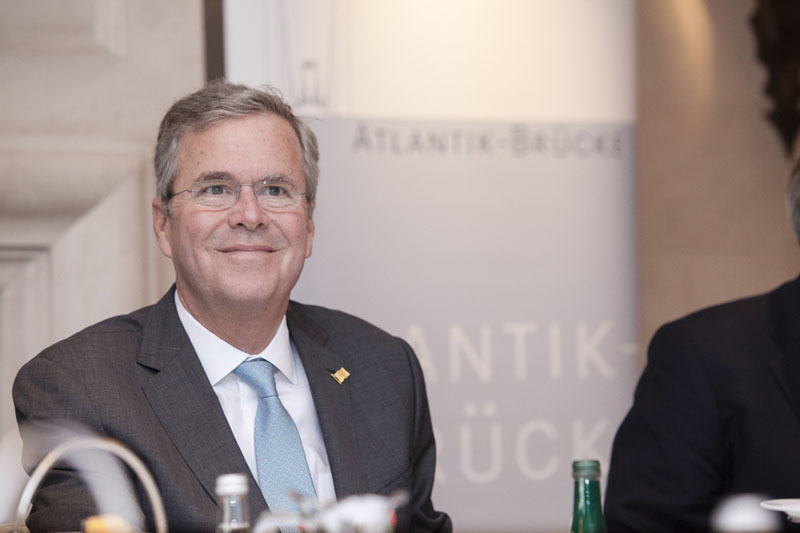 Jeb Bush visits Atlantik-Brücke - Atlantik-Brücke e.V. 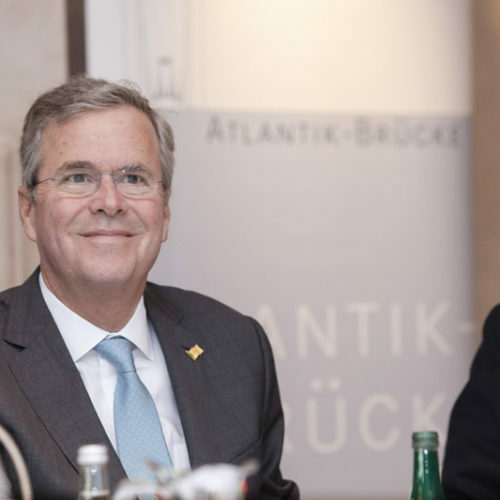 On June 10, 2015, the former governor of Florida, Jeb Bush, visited Atlantik-Bruecke. 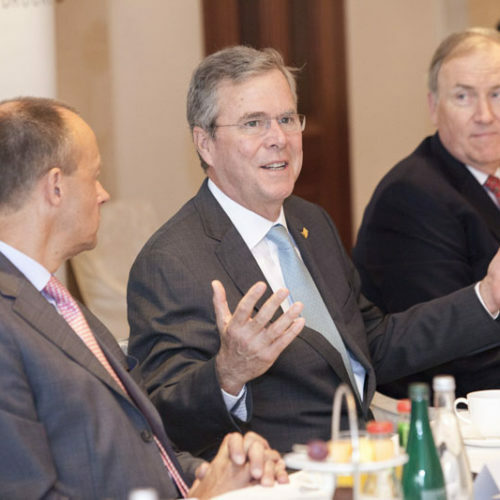 Bush, who announced his presidential bid for the 2016 election on June 15, 2015 in Miami, spoke to a small circle of high-ranking personalities from business and politics about current transatlantic issues. 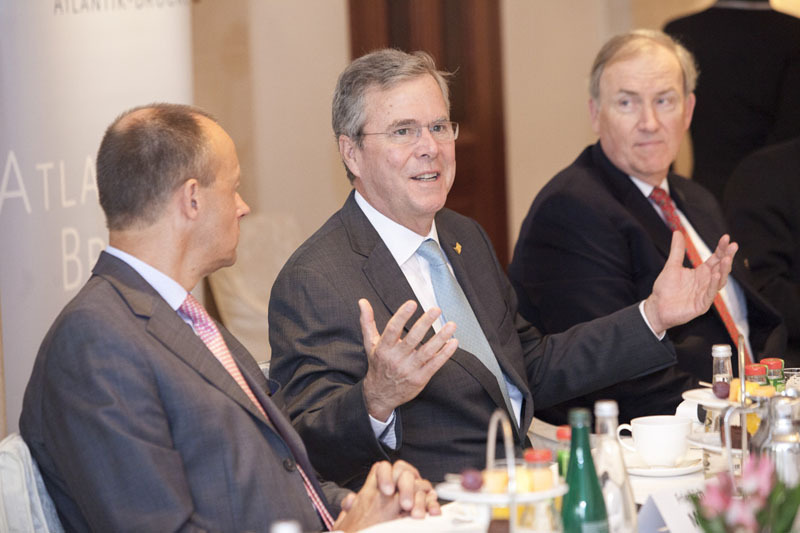 The son of George Bush Senior and the brother of George W. Bush discussed foreign and security policy issues as well as finance and economics. Specifically, the talk focused on U.S. involvement in the Middle East and relations to Russia. 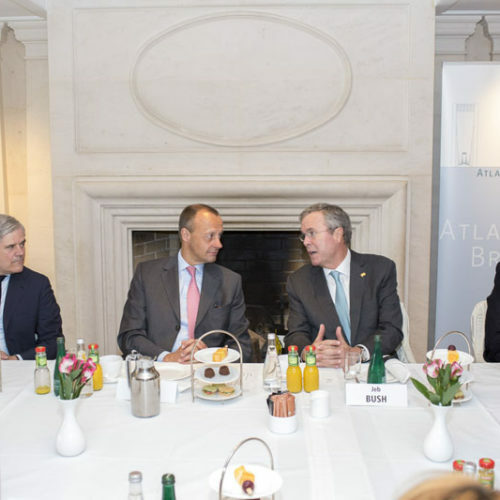 Stronger transatlantic economic cooperation, which is the goal of the projected Transatlantic Trade and Investment Partnership TTIP, was also on the agenda. 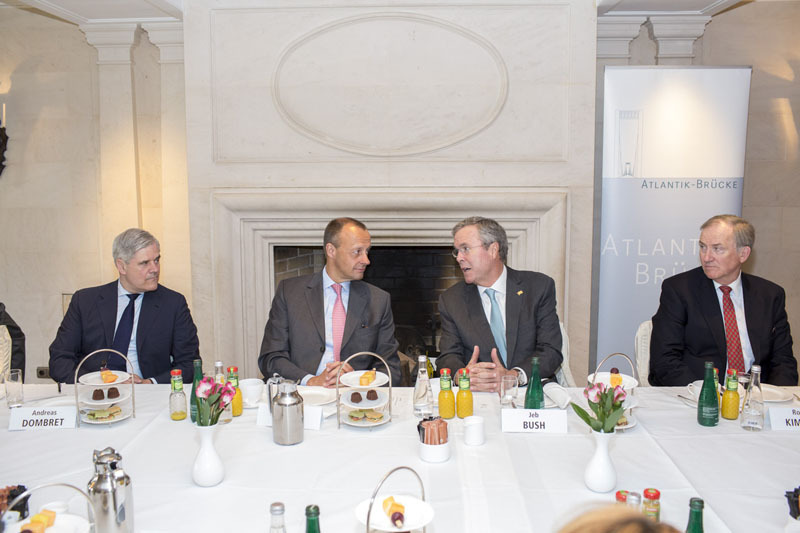 The discussion was moderated by Friedrich Merz, Chairman of Atlantik-Bruecke.